Unlike most other Fedora remixes, it is mainly provided as an installation media rather than Live disk; and contains lots of packages so that it can provide most of users’ needs without downloading anything from the internet. While users are more likely to have access to fast AND cheep internet connection these days, there are still many who don’t; and also, there are many situations I personally face which I want to have a new fully working Fedora installation as fast as possible, and downloading packages from Internet is not an option. Parsidora is Fedora compatible, so it can be even used as an offline repository for existing Fedora installations. Yes, many of you might wonder if an offline repository is useful, but believe me, there are people who might access Internet using dial-up or GPRS, or have good but expensive internet connection. 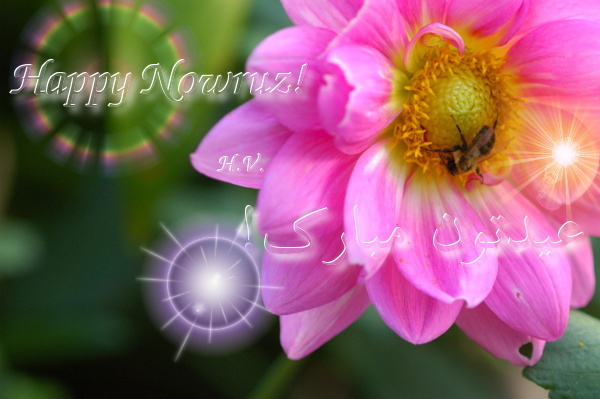 Nowruz Gift: Yum Fast Downloader 0.6.0 Released! Gladly, I was able to devote some time to update yum fast downloader plugin to work much better with recent yum versions in Fedora 19/20. The plugin effectively disabled delta rpm support since the integration of presto into yum. To fix the issue, I reworked the plugin using the new download framework of yum/urlgrabber. The result is yum-fast-downloader plugin for Fedora 20, which not only fixes the problem but also brings better integration. As a result, the plugin is now responsible for almost all downloads including downloading drpm packages. Besides, it is now possible to specify arbitrary command line arguments (e.g. -q) for aria2c in the plugin’s configuration file. Unlike previous versions, in this version download of multiple files in parallel are handled by multiple instances of aria2c; but I’d like to change it back to a single aria2c instance in future. I’ve added the new version for Fedora 20 in the repo, but not for Fedora 19. It should work on Fedora 19 too, but I have not tested it. If you tried YFD 0.6.0 in Fedora 19 successfully, please let me know so that I’ll add the new version to F19 repo too. Thanks! Parsidora 17 was not released, because fedora installation disks created from Fedora 17 updates repository didn’t work. We decided to skip Parsidora 17 and create Parsidora 18. Parsidora 18 images were ready long time ago, but we have not released it yet. Why? Because if you create an installation disk using pungi (with updates repository enabled), the installer will crash on boot. Unfortunately, the bug is unnoticed after a long time. If you create a Fedora installation disk with release repositories, it works fine but if you try with updates repository enabled, it’ll crash. I’ve tried a lot to find the offending package, but my efforts have been fruitless. I’ve created images with old kernel, anaconda, and even Xorg, but all of them crash.